My name is Iris Michael and shamanic healing work is my calling. It is a path of service for healing all peoples and the Earth which deeply engages my heart and soul. It is an active, sacred relationship with all of creation and our Creator which is based on the principle of reciprocity or, more simply, the continuous flow of love. As a shamanic healer, counsellor and facilitator, I draw on a solid foundation of training, experience and personal work in counselling, energy healing and shamanic healing. I am highly intuitive and listen with my whole being to each client and to the loving guidance I receive. Please read some testimonials from clients and workshop participants. In addition, I have been interviewed by Live It! Magazine on my holistic approach to healing grief. My background includes six years of formal training in the healing arts, which began in 1996. I am a Certified Shamanic Healer and graduated in 2002 from an intensive three-year program in ancient Inka healing taught by the Wiracocha Institute. I am also a Certified Spiritual Healer, Diplomat of Earth Stewardship, and an Ordained Minister with the International Assembly of Spiritual Healers and Earth Stewards (SHES). I chose to be ordained because this healing path is about being a bridge between the world of Spirit and the physical world. 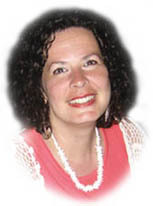 I also have several years of training (1997-2000) as a Healing Touch Practitioner with Healing Touch Canada. Healing Touch is a nursing-oriented program of energy-based healing techniques that is offered in hospitals across North America to help address a variety of health concerns. My education is a Bachelor of Arts degree in sociology from Queen's University. In addition, in 2000, I graduated from the three-year part-time Counselling Skills Certificate Program at Vancouver Community College (VCC). This program has enhanced my skills and ability to competently and ethically work with the issues that clients present during healing sessions. Other training I have includes: "Coaching Skills for Mental Health Professionals" at VCC, "Trauma and Post Traumatic Stress", "Instructor Training" and "Advanced Facilitation" at the Justice Institute, and a course in "Harmonic Overtoning", an ancient, healing vocal technique. The healing work I offer is an integration of everything I have learned over the years. It includes clearing energies that are creating imbalance (trauma, grief, illness, etc. ), expulsion of intrusive energy, assisting clients in reconnecting with disowned power and soul essence, facilitating past life regressions, promoting the healing of wounds, and balancing the body's energetic systems. For information about interventions that may be used, please read the technique descriptions. I also offer sacred healing ceremonies, such as the despacho, fire ceremony and house cleansing and blessing, as well as ceremonies for special occasions.